The biggest difference between English and most other languages is the timing. In many languages stress is evenly place on each syllable of a word. Except for Chinese where each word is only 1 syllable, but this results in the same rhythm issues when speaking in English. It is hard to know where to stress a mufti-syllabic word when you have no experience with mulch-syllabic words. English is called a stress timed language. An undescriptive term if there ever was one. It does nothing to help draw a clear picture of how the timing is different. Other languages that stress specific syllables use accents or they use predictable patterns. For example French always stresses the final syllable. American English uses what is known as alternating stress pattern. In a word we give primary stress to one syllable. Depending on the word we may have secondary stress, and always one syllable that is unstressed. Look at the word banana. There are three "a"'s in this word. But only the second "a" gets a full pronunciation. The other two "a"s are reduced to a short quick schwa (uh) sound. The second "a" is longer and gets a full "a" production. This is how we alternate stress in mulch-syllabic words. When this alternation is either placed on the wrong syllable or not made at all it has a tremendous effect on intelligibility. Primary stress of a syllable is carried on the vowel. The vowel maybe lengthened, made longer or produced with a pitch change. Lets look at another example "pajamas" again three "a"'s with 2 being produced as the short schwa or "uh" sound and the middle "a" getting the full pronunciation. Keep listening for good examples of spoken English, try to note how they are using alternating stress patterns in their speech. Can you mimic their rhythm? Try to mimic the beat in your first language and see if it feels different from your normal rhythm. This is the "feel" of spoken American English! New and Fun quizes and Links! Please let me know if you enjoy these "widgets" and what type of posts you would like to see more of. Thank you for reading the Accent Master blog! Just yesterday I sent out an email offering a free telephone screening and the response was remarkable! Having the opportunity to speak one on one with so many people has been really eye opening. It is touching and interesting to hear how individuals are affected by their spoken English skills. Their speech skills don't necessarily affect them in an obvious way, but more of a constant, nagging issue. At first many report that others understand them without too much effort. But as the conversation goes on many reveal that they may not be in line for promotions or that their accent is distracting people from really listening to their message. The reason it takes awhile for most callers to realize the extent of the affect of their foreign accent on their lives is because, colleagues and friends do not have an issue with it, so their everyday life is fine. However at closer inspection they know that it is holding them back. That their professional skills need to be combined with excellent communication skills if they want to make progress in their careers. Or they realize that when communication pressure is on, their accent get heavier and more difficult to understand. This undermines their confidence and performance. These things are easy to ignore on a daily basis but cumulatively come with a high price tag. This insight has made me even more sensitive and driven to meet the needs of my clients and my online community. If you have any suggestions for products or services that you feel the foreign born community may be looking for please let me know how I can help. 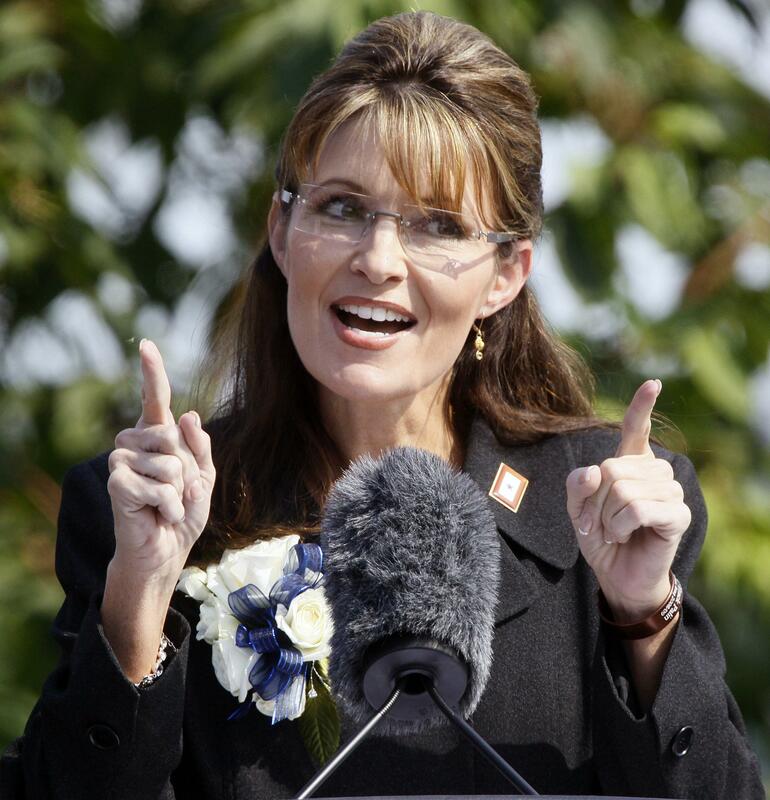 As a speech therapist, and the owner of Accent Master, watching the VP debates last week I kept thinking where did the g in Palin’s –ing go? Palin dropped everyone of those garsh – darn g’s. I knew I was on to something when Tina Fey drew attention to it in her recent SNL spoof of Palin. To find out if this was something others had noticed, I surveyed 3,145 people to find out just that. What did they think of Palin’s accent? And not to pick on Sara Palin alone, what did they think of all of the candidates accents, and while I am at it, what do they think of accents overall? According to this survey over 80% feel that accents definitely affect image. The comments imply that this can be good or bad for one’s image. 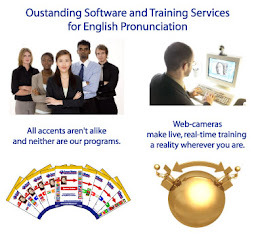 If you have an accent that is in vogue at the time, then you may benefit. Certain regional accent such as a Bronx accents was deemed as “low class” while the southerners could be classified with such diverse comments as “friendly”,” open”, “slow” and “lazy”. Foreign accents forced you according to the comments, to carry the entire image of your country with you, or at least the listener’s best guess as to which country you are from. In the end we are constantly making judgments about others, though it now is considered in poor taste to pre-judge someone on their appearance or speech, the truth is judging people by outward signs has historically been a way to keep ourselves safe. Obviously you want to keep an open mind, but instinctively we judge.